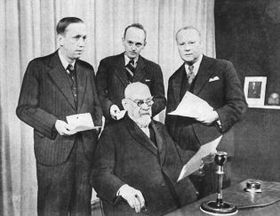 Karel Capek (first left) and Frantiek Krizik (seated) at the time of the peace message broadcasts At the end of 1937 - when the danger of fascism in Central Europe had become a reality - Radiojournal witnessed an important watershed: on December 24, at 23:00, all of Czechoslovak Radio's domestic stations broadcast a "Greeting to People of Good Will." The broadcast contained messages of peace from the electrical pioneer Frantisek Krizik (1847-1941) - nicknamed the "Czech Edison", and the writer Karel Capek Letter to Mr Vlastimil (1890-1938). The 90-year-old Krizik appealed to Albert Einstein; Capek addressed the Indian poet Rabindranath Tagore. In his message, Karel Capek said: "Master Tagore, we send greetings to you from Czechoslovakia, where the snow is now falling; from Europe, where we are wistful; from the western world, where not even the most advanced nations are capable of shaking hands like brothers. At a moment when the westernmost and easternmost regions of our shared continent are rumbling with artillery fire, the weak voice of western democracy calls on you at this, the year's close: long live the world, but a world of equal and free peoples." Both men heard the messages over the radio waves, and both sent replies. Einstein wrote: "This Christmas greeting is truly addressed to everyone who, in this age of confusion, bears a heartfelt wish for spiritual values to be preserved. All of them know that Czechoslovakia is defending - in difficult conditions - the political freedoms and human rights without which spiritual life would wither away. The hopes and heartfelt greetings of all the friends of truth, humanity and freedom are therefore sent to the Czechoslovak Republic in the heart of Europe, which, under the leadership of wise and far-sighted men, has worked and will continue to work for a better future for Europe." The pre-war development of the international service culminated in 1938. Broadcasts to Europe and America were extended by one hour per day, and broadcasts to the East by two hours. In the first half of 1938, broadcasts reached a total of 9 hours a day. Programmes to Europe consisted of news in Czech, 30 minutes of music, news in German, lectures in English, German or French, 30 minutes of music, news in French, 20 minutes of music, news in English, technical intermissions and 25 minutes of music. The music programmes took up approximately three quarters of the broadcasts, news 15 %, lectures 5 % and literary programmes and press reviews 5 %. In May 1938 Radiojournal was included on a list of companies declared important for the defence of the state, and the authorities exerted even tighter control over the broadcasts. 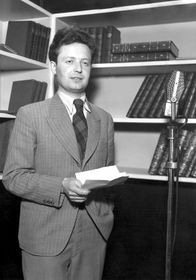 Journalist Ivan Jelinek In 1938 the Brno poet and writer Ivan Jelinek joined the shortwave section. He remembers the hectic days of the late 1930s: "Our Czech and Slovak broadcasts were intended for American expatriates, the English programmes were meant for England and the English-speaking world in Africa and Asia; the same went for the programmes in French; the Spanish broadcasts went to South America. The Praha OLR station broadcast almost 20 hours per day, including music, which made up about a third of the programme. We had news in Czech, Slovak and all the languages I've just mentioned. News reports were wired to the transmitter from the Czechoslovak News Agency (CTK) offices. All texts had to be submitted to the censor, Dr Fort, who often gave excellent advice and salvaged a great deal." Ivan Jelinek mentions a number of important details about the early shortwave programmes. One was the wiring of news reports from the Czechoslovak News Agency - Czechoslovak Radio also received news directly from CTK during the interwar period. This practice changed, however, in the critical autumn days of 1938, when a news department was created at the radio station itself. The news department wrote bulletins in different languages for the shortwave broadcasts. Also worth a mention is censorship and the name of the station. The existence of a censor has been confirmed by others who remember those days - although they all agreed that censorship was far from strict and some texts - especially foreign language texts - were never even read. As far as the call signs for identifying the shortwave transmissions, Czechoslovak Radio was given the international prefix OLR, followed by the different frequencies. For example the Podebrady transmitter used the OLR5A call sign in the 19 metre-band, OLR4A in the 25 metre-band and OLR2A in the 49m band. A theme from Antonin Dvorak's New World Symphony was chosen as the signature tune for the shortwave broadcasts. Announcer Bozena Danesova Autumn 1938. The period leading up to the Munich Agreement - which sanctio- ned the annexation of Czechoslovakia's German-speaking borderlands (Sudetenland) to Nazi Germany - produced another significant increase in broadcasts. News coverage increased, and during the September crisis the station began broadcasting 22 hours a day. Soon after the signing of the Munich Agreement, a new schedule was introduced on October 15, 1938. The existing broadcasts to Europe, America and the East were bolstered with two new broadcasts to Central and South America. The overall length of programmes increased to 19 hours a day, of which 14 were made up of music and more than 3 hours of news. The existing languages (Czech/Slovak, English, German, French, Ruthenian, Spanish) were boosted by programmes in Italian, Portuguese, Serbo-Croat and Romanian. To maximise the effect of the programmes, the shortwave broadcasts were combined with the domestic station Praha II. The international service and the Praha II station both benefited from reaching a wider audience on both short and medium wave. In December 1938, following the loss of transmitters in the Sudetenland and the partial independence of Slovak Radio, the Radiojournal broadcasting company changed its name to Czecho-Slovak Radio. One of those working for Czechoslovak Radio at the time of the Munich crisis was the Canadian journalist and future historian Gordon Skilling. Skilling was in Prague to complete his doctoral thesis, and was also working as a freelancer for the international service: "I worked on the programmes to North America, and I produced news bulletins using Czech news reports and newspaper articles. I remember the huge sense of disappointment that followed Munich. One of my supervisors at the radio station - I think his name was Kraus - was so furious, that he threw his French Légion d'Honneur into the River Vltava." At this point we should mention the Esperanto broadcasts, which played an important role in informing the world about pre-war events in Czechoslovakia. The Esperanto programmes were not part of the international service, but they were aimed at the same audience. 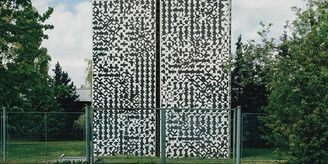 They were put together at the domestic stations in Brno and Ostrava, and were broadcast on medium-wave. They included lectures about Czechoslovakia and, in 1938, news about the political situation. Responses to the Esperanto broadcasts came from all over the world, in the last year before the war there were 2,000 letters. 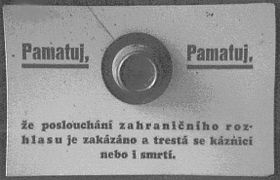 Two Esperanto programmes were also broadcast on short- wave in 1938. Plaque to the victims of fascism on the Czech Radio building On March 15, 1939, what remained of the Czech state was occupied by Nazi tro- ops, and Hitler proclaimed the so-called Protectorate of Bohemia and Moravia. Announcer Bozena Danesova remembers that day well: "On March 15 I was sitting in the studio. It was before we went on air, and I was waiting as usual for the signal from the transmitter in Podebrady. What happened next came as a complete surprise. There was a knock at the door and a German officer came in. He was, I have to say, very polite. He apologised and said he was very sorry, but the broadcasts from Podìbrady had been shut down. And that was the end of the pre-war shortwave transmitter called "OLR". And the occupation also ended my career as an announcer." In his memoirs Ivan Jelinek had this to say about the momentous events of March 1939: "A new boss arrived at the radio building. He was referred to as the "Führers Stellvertreter", and his name was Marek. I asked to see him, and when he granted me a few minutes of his time I told him that I had carefully studied Hitler's speech, in which he promised that he would fully respect the cultural independence of the Czech nation. I asked him whether "cultural independence" included the radio. Marek was taken aback, but told me yes, it did. So I asked him to give the order for the Praha OLR shortwave station to be put back on the air. Marek promised to see what he could do. And two days later he telephoned me, and announced that he was allowing the shortwave broadcasts to continue, but only in Czech." Warning sticker on wartime radio set: Remember: listening to foreign radio is illegal and punishable by disciplinary measures or death! This recollection proves that the international service did not disappear entirely during the war. Only two hours of programming - broadcast to North America - were left, compared to almost 20 hours before March 1939. The programme consisted almost entirely of music, with an officially-approved 10-minute news bulletin, and was broadcast on the 25 metre-band under the call sign OLR4A, and in summer on 19m under the call sign OLR5A. The months following the occupation saw the gradual emergence of a separate Czech Radio, from the heavily curtailed Czecho-Slovak Radio. Czech Radio became Rundfunk Böhmen und Mähren - part of Germany's Reich Radio. All official media - including radio - became instruments of Nazi propaganda. In March 1939 journalists of Jewish origin were forced to leave the station, under a decree issued by the Ministry of Transport and Communications. 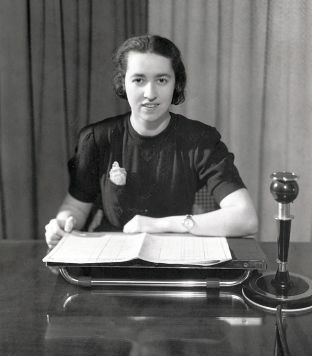 Most of the newsreaders and announcers from the pre-war international service left. 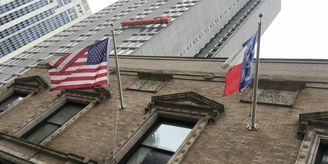 Several - including Ivan Jelínek - emigrated, others found new jobs. Announcer Zdenka Wallo, who was Jewish, died in a concentration camp. 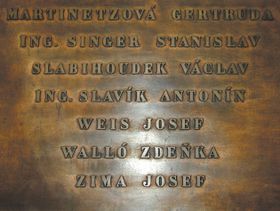 Today her name is included on a plaque at the entrance to Czech Radio, honouring all those employees who died at the hands of the Nazis.